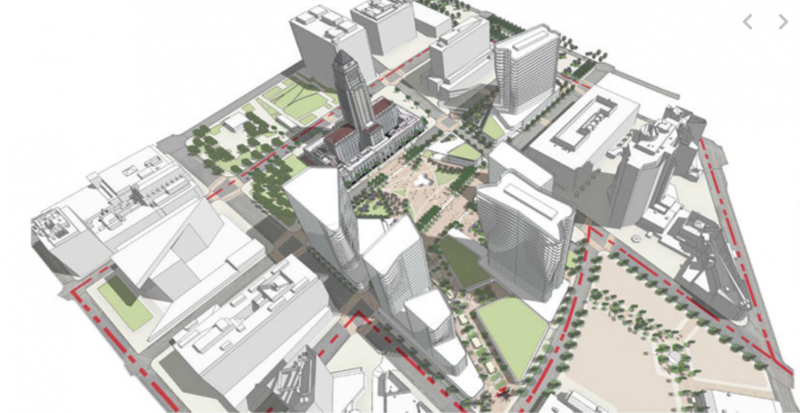 The City of Los Angeles’ plan to redevelop the Civic Center over a 15-year period is officially underway. Now, with crews working on a 500-day dismantlement of Parker Center, government representatives are seeking input from Downtown stakeholders on how they want to see the area transform. A Sept. 12 community meeting at the Japanese American Cultural and Community Center served as an opportunity for local residents and workers to learn about and offer input on the Civic Center District Design Guidelines. Approximately 50 people showed up to discuss topics ranging from accessibility and mobility to architecture and landscaping. A large contingent of attendees hailed from Little Tokyo, with other participants from the Historic Core and Skid Row. The event was organized by the office of 14th District City Councilman José Huizar, the Bureau of Engineering, and the architecture firms Gwynne Pugh Urban Studio and Perkins + Will. Organizers said feedback from the meeting will be used to shape the next stage of proposals, which are due in November.